Hindus have a significant population in the world next only to Christianity and Islam. While there is the powerful “organization of Islamic cooperation” [OIC] backed by 45 Islamic states, and numerous Christian organizations like “Christian Economic Forum”, there is no forum for Hindus to discuss global issues facing them. 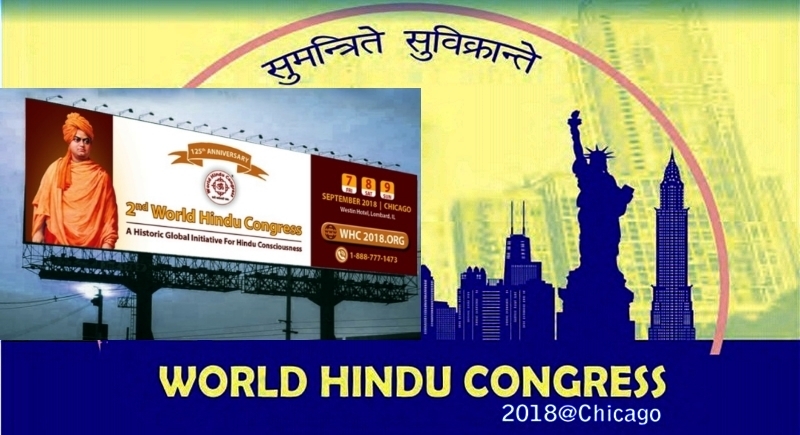 The world Hindu Congress, with 250 thought leaders and 2200 delegates from over 50 countries, for the first time goes very much beyond religious congregation to develop world Hindu economic forum, Hindu educational conference, women’s forum, etc. Non State players are becoming a powerful factor in shaping the world economy. Religion is also one of the strong trans-national factors for rallying people and can be used for constructive economic development. As the world economic forum article says “religion annually contributes $1.2 trillion to the American economy, $418 billion from religious congregations; $303 billion from other religious institutions such as universities, charities and health systems; and $437 billion from faith-based, faith-related or faith-inspired businesses.” Internationally, the Vatican bank which is worth $8 billion in assets is doing an effective role for global Catholic Christians. OIC does the same role much effectively being backed by Muslim States. There was no Hindu forum for this purpose. WHC is a welcome step in this direction. The global Hindu diaspora consists essentially of an enterprenuer class and with the support of such forum, they will be able to make more vibrant contributions to the economies of respective nations. For the first time perhaps, political authorities from 4-5 nations are participating in the WHC which should be a welcome step. It is worth to note that on 4th September 2016, when Pope Canonized Teresa, 13 heads of state or government attended the function while almost 90 Governments had sent their representatives. 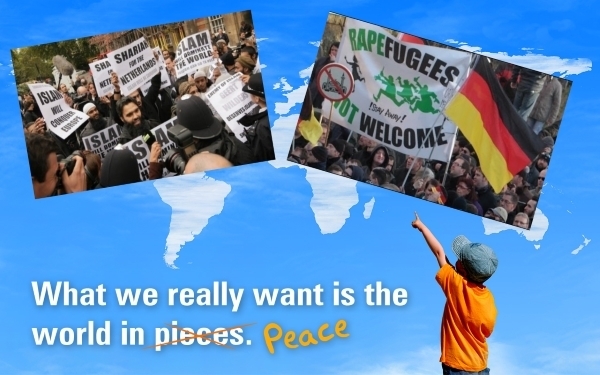 The political and social atmosphere of Europe and US is fast getting polarized on the issue of migration – legal as well as illegal– mostly on the background of increasing Islamic terrorism. 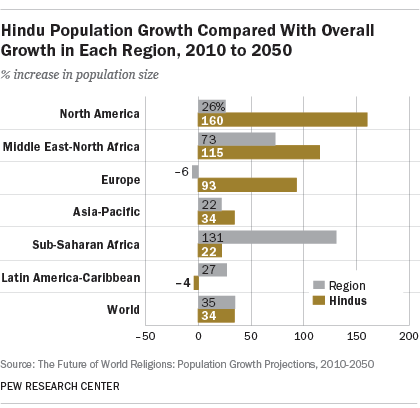 As the PEW research suggests, in coming decades Hindus are going to migrate in large numbers to Europe and US. Therefore it has become a paramount necessity today that Hindus should highlight and establish their distinct identity and history. Hindus are the people who have never in the history invaded other nations to create empires, have never enslaved other people, and have never proselytized people of other religion. Wherever they have migrated, they have established a peaceful and mutually beneficial relationship with the host Country and people and enriched their living standards by doing value addition in various spheres of life. When Vivekananda gave his message of Universal love and peace amongst religions and nations, it was his outstanding personality that made the impression against all odds. As a nation, India was in a battered state at that time. A history of more than 100 years after his speech indicates that India is on a path of resurgence and will be able to deliver his message collectively and effectively in the future with the help of global Hindu farternity. The selection of the Chicago location may not remain just symbolic but a declaration point for the distinguished assembly to express the aspiration of world peace, once again.